Thomas Draths’ concentration is in litigation and counseling, specializing in labor and employment law. In addition to concentrating in labor and employment law as a litigator, trial attorney and counselor, Tom has acquired significant experience in the fields of securities and commodities, business and real estate, construction, probate and trust. He is conversant in estate matters, estate planning and contested estates, and has also handled corporate transactions and litigation involving real estate. 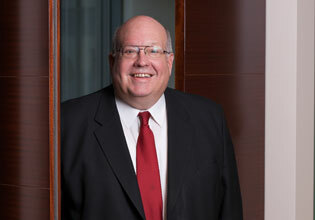 Tom has argued important cases before the Illinois Appellate, the Seventh Circuit Court of Appeals, and the Supreme Court of Illinois, experience which distinguishes Tom from many other practitioners. He has enjoyed success in an overwhelming majority of the labor arbitrations he has tried, and has successfully handled litigation for the McCormick Trust and the MacArthur Foundation. Klein v. LaSalle – an affirmation by the Illinois Supreme Court in a case involving the procedural issue of service of process on a land trust. Village of Gurnee v. Rager, a successful defense against a discharged police officer before the Village of Gurnee Civil Service Commission, at administrative review in the Circuit Court of Lake County, and before the Illinois Appellate Court, Second District. FOP and Rager v. Village of Gurnee—a successful defense of his client in an extension of the above case that was tried before the Illinois and Labor Relations Board, where the plaintiffs failed to prove that termination of employment by the Village of Gurnee had been motivated by anti-union animus. J.D., DePaul University College of Law, Chicago, Illinois, 1980. A.B., Government, Dartmouth College, Hanover, New Hampshire, 1975. Martindale-Hubbell, "peer review rated for ethical standards and legal ability," since 2001. St. Juliana School Endowment Fund, director, 1990 to present. St. Juliana Athletic Association, director, 1994 to present.